We were raised on cod liver oil — and for good reason — but our polluted environment has made it somewhat dangerous. Is there a safe option? When we were kids, many of us were given cod liver oil. It didn’t taste very good in those days — no one had figured out how to process it so it didn’t taste like… well, exactly what it is. But these days, we have another problem. While there are plenty of cod liver oil options that don’t taste too bad — and there are always softgels and other capsules — we now have to worry about the environment the fish came from and just how polluted those waters really are. Many people have turned to Norwegian cod liver oil — said to come from some of the purest waters the planet has to offer. 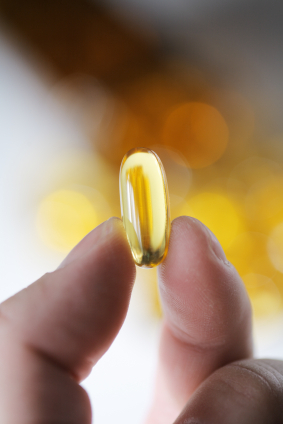 What are the benefits of cod liver oil? Although our parents and grandparents didn’t tell us this — and may not even have known themselves — cod liver oil is high in vitamins A and D, and essential fatty acids. Vitamin A, vital for bone growth and reproduction, also plays an important role in preventing bacteria from entering the body — it maintains the linings of the digestive system, the respiratory tract, and the eyes. It also regulates the integrity of two other significant entry points: the skin and the mucous membranes. Vitamin D performs several functions, the most important of which may be the formation of tumors — cancer — but it also helps osteoporosis, heart disease, diabetes, rheumatoid arthritis, inflammatory bowel disease and multiple sclerosis. Essential fatty acids also play a vital role in our overall health. So we need cod liver oil. The benefit of Norwegian cod liver oil is its purity. Even though some of the most dangerous chemicals to have landed in our waters — PCBs and dioxins, for example — are now outlawed, their residue is still present in our many of our oceans and waterways, and in the fish and aquatic plant life that live there. Also, there’s the every-present threat of mercury. If you are looking for a good source of vitamins A and D and essential fatty acids, try Norwegian cod liver oil. It will boost your immune system, help you resist bacteria and viruses and give your overall health a boost. And it doesn’t even taste like … well, you know, what it is.